HONG KONG — The new wealth creation in China has helped fuel the growth of the global luxury market in recent years. 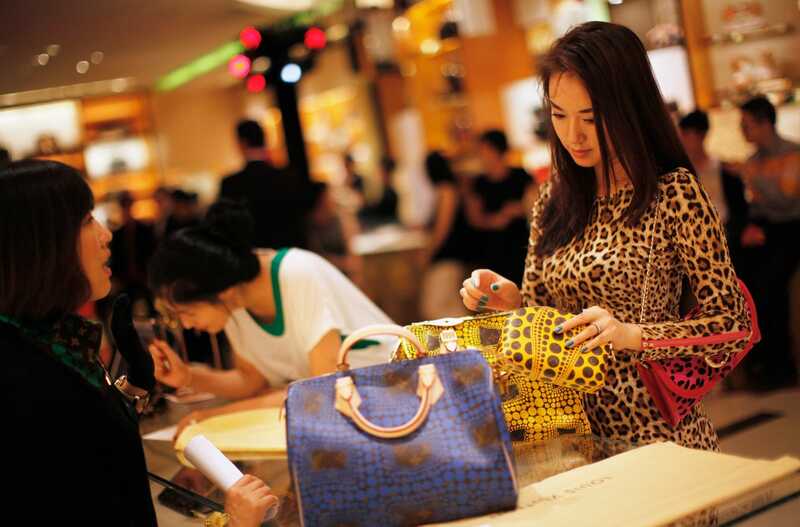 Worldwide sales of luxury goods are growing faster than expected this year, thanks in large part to thriving demand from Chinese customers, according to consultancy Bain & Co. The Chinese are the most important group of luxury consumers, responsible for about 30 per cent of all luxury purchases — more than any other nationality, according to a recent report by Mario Ortelli, a Senior Research Analyst at Sanford C. Bernstein. For some brands this number is even higher: Burberry (40 per cent), Ferragamo (35 per cent), Gucci (33 per cent), and Bottega Veneta (33 per cent). These consumers “are more travelled, more sophisticated, more educated, and more digitally exposed [than ever]. And they are young and they want some fun,” says Erwan Rambourg, Managing Director at HSBC in Hong Kong, Co-Head of Global Consumer & Retail Equity Research, and Author of the book “The Bling Dynasty: Why the Reign of Chinese Luxury Shoppers Has Only Just Begun”. Chinese consumers do three-quarters of their luxury spending while travelling abroad, where luxury goods cost 20 to 30 per cent less and come with the storytelling value of purchasing a lasting piece, such as a Chanel 2.55, from the flagship in Paris. Revenue from personal luxury goods is projected to rise 6 per cent at constant exchange rates in 2017 to $308 billion USD (€262 billion) as Chinese buyers account for a large chunk of the luxury goods market in 2017.